I would like to receive occasional information and updates from Bright Ideas for Tennis and jumblebee. 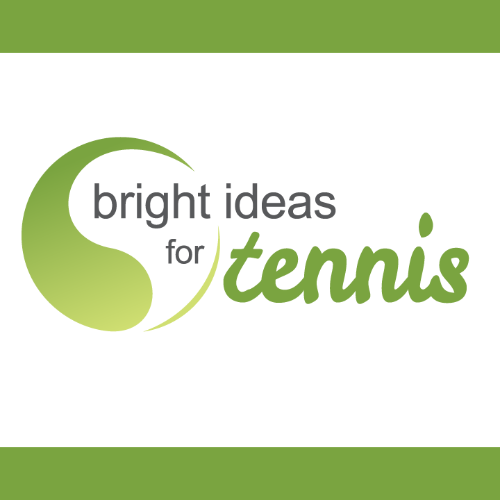 Bright Ideas for Tennis is a registered charity (no. 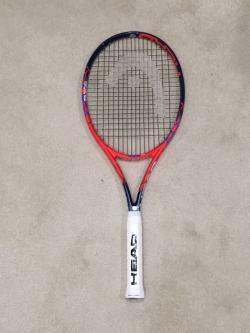 1172899) that helps more people play more tennis. Concentrating primarily on the grassroots side of the game, we work with venues to improve facilities, and give help and guidance regarding growing participation numbers, providing a sustainable place to play. 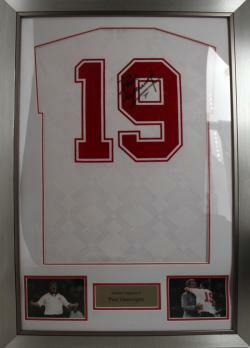 We organise several events and auctions throughout the year to help fund our goals and objectives. For more information about Bright Ideas for Tennis and the work that the charity is doing in the community, please visit our main site, Bright Ideas for Tennis. 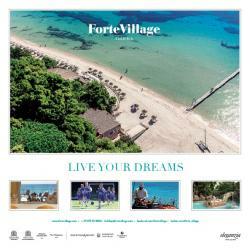 A 4 night stay for 2 people at one of Forte Village’s 5* hotels. Half board and daily entrance to the Spa are included. Nestled among 47 hectares of beautiful gardens, Forte Village promises a Sardinian beach resort where nature, fine dining, sport and wellness merge to create an unforgettable holiday experience. Flights and airport transfers are NOT included. Framed Water Colour Print by Douglas E. West. 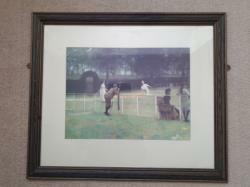 A framed water colour print by Douglas E. West. Measures 600mm x 775mm. A family game of tennis set before the start of world war one. A couple watch while drinking tea as the family members are playing tennis. Douglas E. West was a British artist, born in 1931 and died in 2007. He studied at the Sidcup School of Art. Probably the greatest British player ever to have graced a tennis court. Two time Wimbledon Champion, US Open Champion, two time Olympic Gold medallist, and 2015 Davis Cup Champion. A must have for any serious tennis collector. Order, order. This amazing prize promises to combine over 1000 years of history, modern day politics, and stunning art and architecture. Your host for the Tour, Baroness Billingham, a keen tennis player herself, has also donated drinks on the Terrace too. Afternoon tea for two people in the Town House Restaurant at the Doyle Collection Hotel, South Kensington - an exquisite dining experience in the heart of London. Must be taken by 31/6/2018. 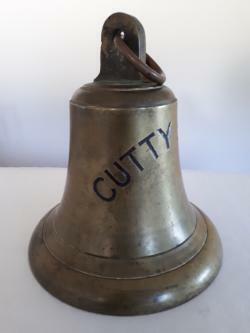 This is a heavy, believed bronze, ship's bell thought to have been made around 1954 when the Cutty Sark was first dry docked at Greenwich. It has a loud ring and would grace a club bar, private bar or sailing/ rowing club premises. It is 30 cm high, the bell bottom diameter is 26cm, and it weighs a fairly hefty 8.3 kg. This is a unique and rare collectors piece. 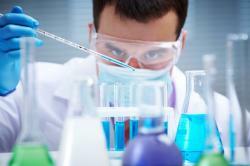 Overnight stay for 2 people at the Capital Hotel, London inc. Breakfast. Described as a grand hotel in miniature, The Capital was one of London's first boutique hotels and has been welcoming guests since 1971. The Capital is a charming 5 Star Boutique Hotel on Basil Street just steps away from Harrods and at the heart of one of London’s smartest destinations for shopping, dining and culture alike. On the doorstep is Knightsbridge, Sloane Street, Hyde Park, Kensington, the National History Museum and the world acclaimed V&A museum. The Piccadilly underground station is 1 minute away linking up Heathrow Airport (LHR) and St Pancras International for the Eurostar. Buckingham Palace, The Royal Albert Hall, Green Park are all an enjoyable walk away. 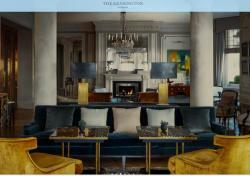 The hotel is one of the last offering a true sense of place; English interiors and very personal service. Our bedrooms accommodation in London are all individual, English wallpaper, antique furnishings, the families own paintings and many personal details. Arguably the UK’s best seafood chef, Nathan Outlaw has his only London seafood restaurant here, Michelin starred Outlaw’s at the Capital. For us, travel is as personal as it gets. No one person on this earth is the same, so no holiday should be either. Whatever the reason for planning your next escape – to reconnect, disconnect, get on the grid or get off the grid, let us craft a tailor-made holiday that’s right for you. From weekend getaways and family holidays to honeymoons and safaris, we specialise in selling four and five start hotels and experiences around the world. When travelling with us, no membership or booking fees are required; all that’s needed is a wild case of wanderlust. Your dedicated Travel Specialist will open your eyes to new possibilities, inspiring your next destination with personalized customer service and expert knowledge. When it comes to the price tag, we’re more affordable than you might think. With negotiated competitive rates and access to thousands of complimentary benefits, we welcome the opportunity to price-match against any like-for-like itinerary you may receive. Here’s to making the world of difference to the way you travel. 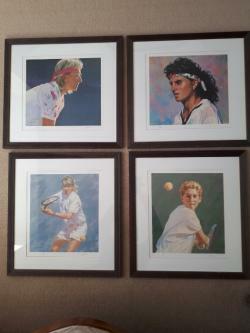 Tennis prints - Four framed prints of tennis legends Navratilova, Seles, Graf and Sabatini, by Johnny Jonas, a British artist who won a place to study at the Fine Arts Academy in Florence at the age of 26. He went on to study at the Fine Arts Academy in Perugia, returning to the UK in 1984. He now lives in Devon with his family. The prints are signed and numbered by the artist, and are in frames measuring 565mm x 520mm. The prints are all the same number of a limited edition print (377/850). 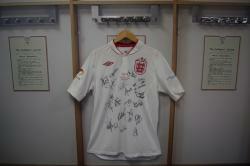 A signed shirt from the England vs The Rest of the World Charity football match played at Old Trafford in 2012. 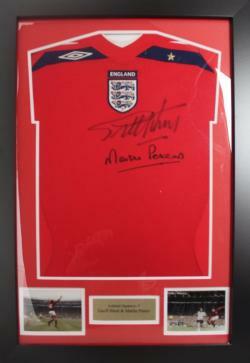 Signed by, amongst others, celebrities Bradley Walsh, Jamie Theakston, Paddy McGuiness, Robbie Williams and ex Arsenal Goalkeeper, David Seaman. 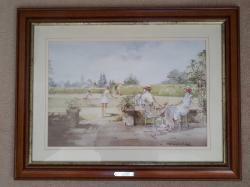 This water colour print would grace any tennis emporium - depicting an early tennis scene by an unknown artist. Measures 630mm x 538mm. 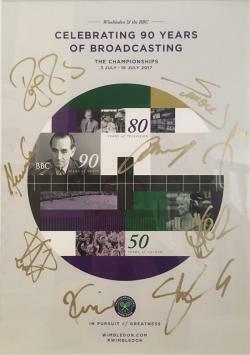 A Wimbledon 2017 poster signed by Federer, Murray, Nishikori, Wawrinka, Halep, Kerba, Konta, Kvitova and Pliskova - a real collector's item. Two Tickets to the Final of Queen's. A pair of Finals Day tickets to the premier grass court pre-Wimbledon event at the prestigious Queen's Club in London. Our winning bidder will enjoy 2 centre court tickets on Sunday 24th June. Will Kyle Edmund be making the headlines this year...? Geoff Hurst and Martin Peters - both goal scorers from the 1966 World Cup Final. A day that will be forever remembered by English football fans. Paul Gasgoigne, the lovable, mischievous personality set the footballing world alight with his performances for England during Italia 90. Gazza, enormously talented, played for Spurs, Rangers, and Lazio amongst others in a glittering career where he was rarely out of the headlines! Created on acid free paper with acrylic paint. 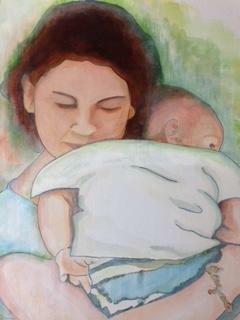 Turn your favourite family or pet portraits to art. Can work off photos so location is not a problem. 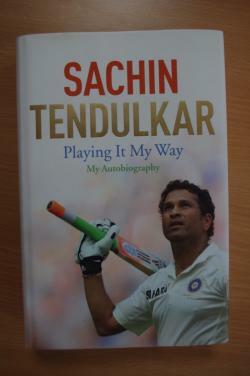 Widely regarded as one of the greatest batsmen ever, and the top international run scorer of all time, this signed autobiography by the 'Little Master' is a must read for any cricket fan. A days work experience at King's College Hospital - King’s College Hospital NHS Foundation Trust is one of the largest teaching hospitals in London, serving a population of over 1 million people in South London. The days work experience would involve shadowing one of the medical virology consultants and finding out how laboratory staff help make a diagnosis in someone with an infection, what treatments are available and what happens on a daily basis in a big teaching hospital. This would be perfect for anyone who may be thinking about a career in healthcare, enjoys science subjects or is looking to add to their personal statement when applying for a university place.